I always love to hear about other people who have achieved their goals through the Blood Sugar Diet – as everyone is unique, everyone approaches their goals in their own slightly different way. 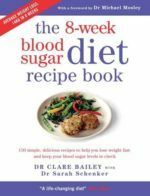 Because of this – I’ve been doing some short interviews with people to who have done the diet to see how they have managed to lose weight, keep it off and normalise their blood sugars. I hope you find their stories as inspiring as I do.